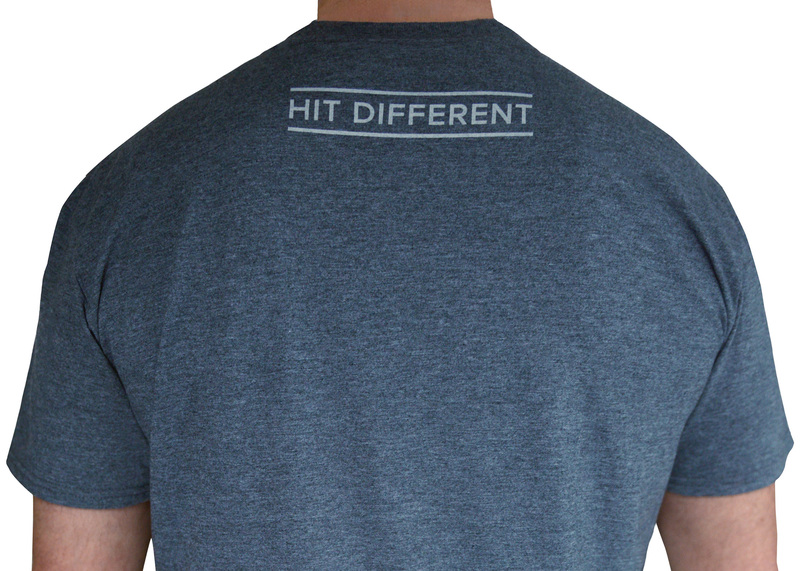 New light weight, softer feel, short sleeve tee. Ringspun polycotton fabric with blended fibres to give it a unique blue-grey heather look. When selecting the size, keep in mind this shirt is a slightly smaller, 'slim fit'. 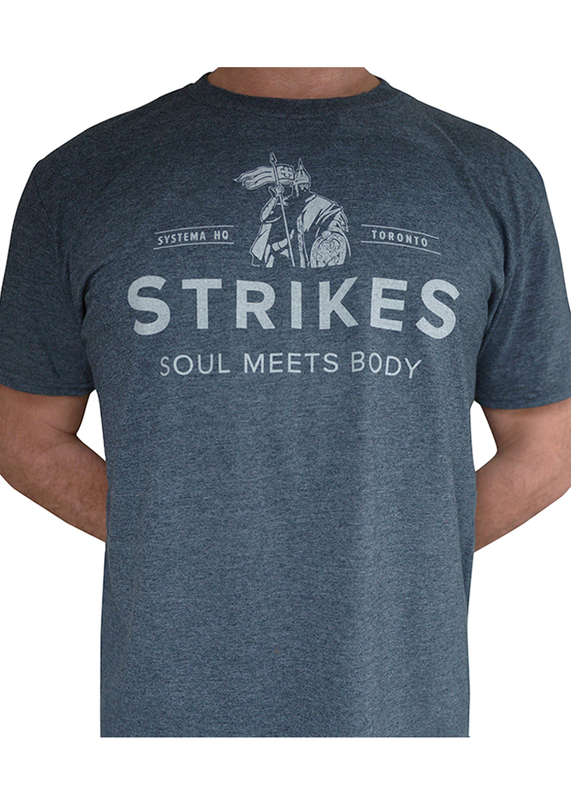 To receive the Strikes T-Shirt at a lower price, order it as part of the Striker Trio and save. What can I say about the new Strikes t-shirt? 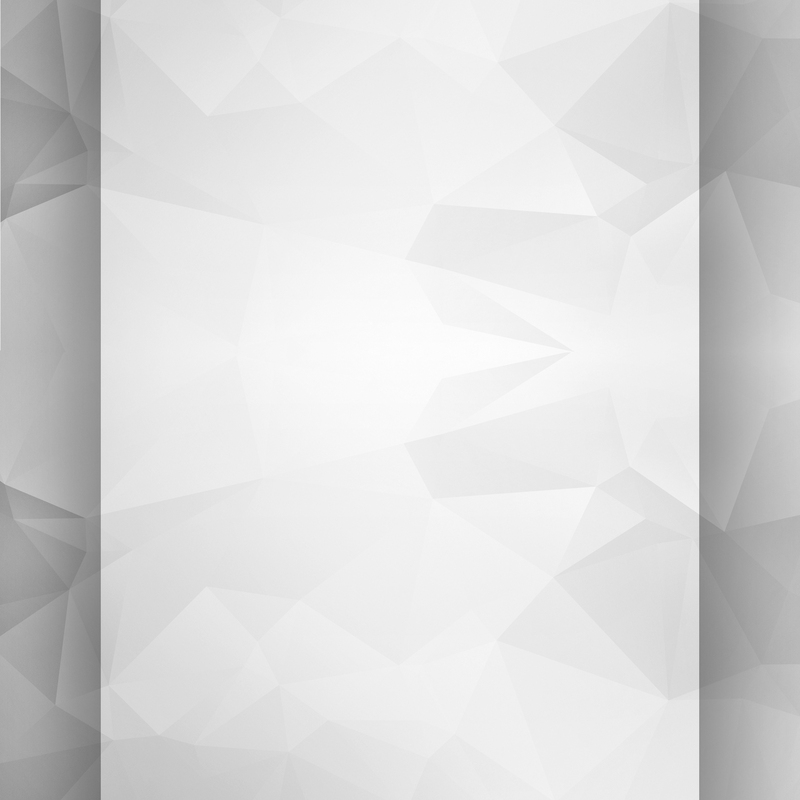 This colour mix looks awesome. Great way to look stylish even when training. 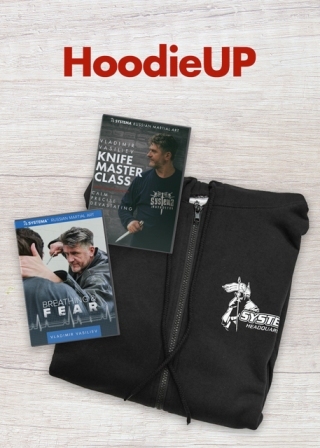 Thank you, Systema HQ, for stepping out of the traditional shirt design.